How adorable is this ruffle wrap dress!? I can't get over how cute it is! 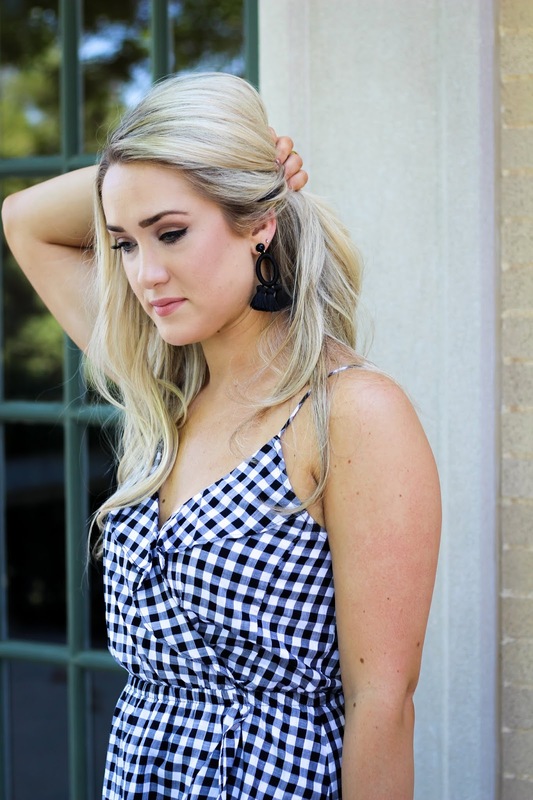 Y'all already know how much I love gingham, so when I saw this dress in Express I knew I had to have it! All sizes are still available right know so get it while you can! !